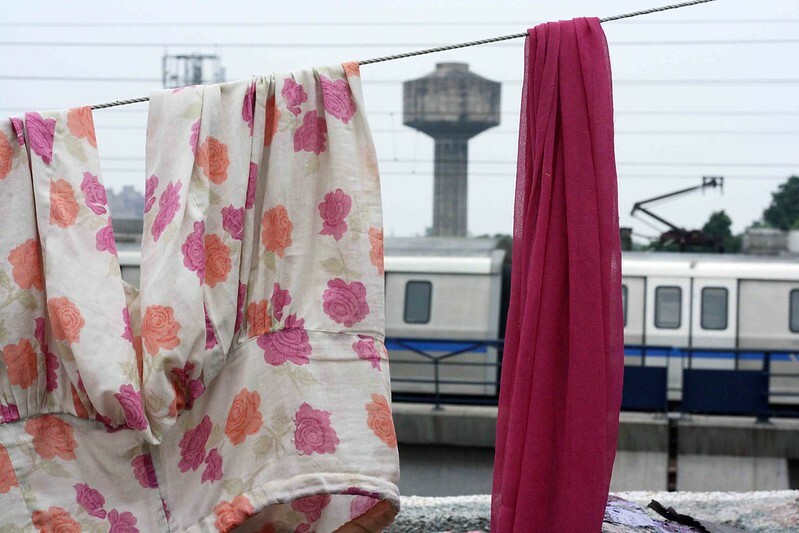 The Delhi Walla has found the most picturesque spot from where to watch the majesty of the Delhi Metro. It lies in little-known Aastha Kunj, in south Delhi. 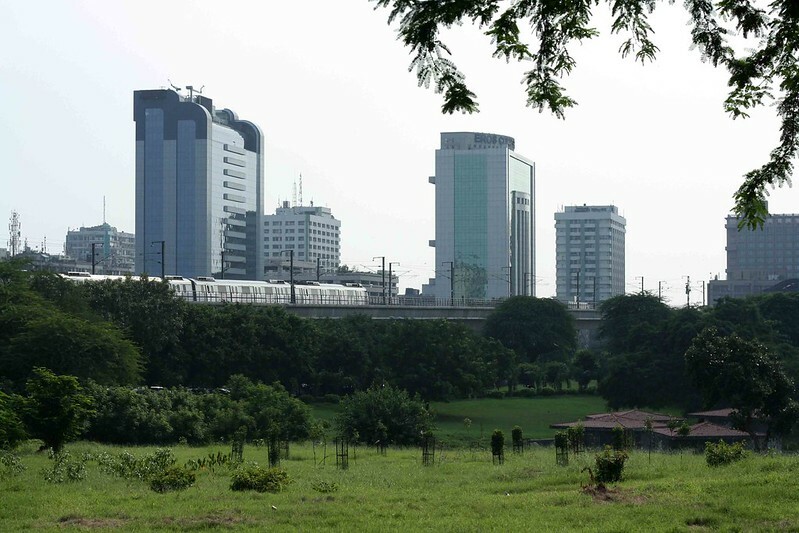 Visited by only a few solitude-seekers, the undulating, landscaped Delhi Development Authority garden is near the Nehru Place business district. Every two minutes, one can see from here the silver-grey coaches of the Violet Line running past a backdrop of business towers. The ground beneath the elevated tracks is a totally different world — carpeted with grass, dotted with trees and bushes. It’s a magnificent sight. 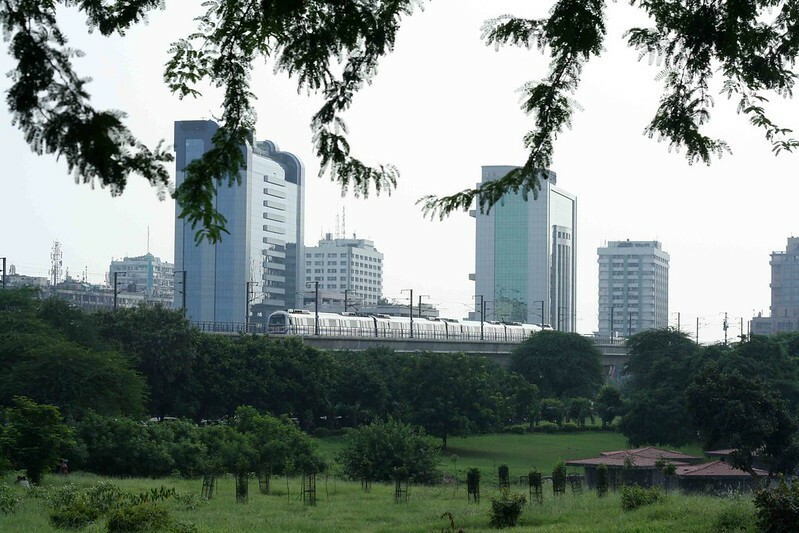 The Delhi Metro Rail Corp. began operations 15 years ago. Today it ferries millions of Delhiites to over 150 stations and has transformed the city’s streetscape, especially in areas where it runs on elevated tracks. Yet, I have heard of no trainspotters religiously tweeting updates on new Metro routes, sights, coaches and stations. Neither do we have committed rail enthusiasts regularly sharing photos, drawings and stories of the Metro network on blogs and online communities. But now I urge all the Metro spotters to check out these places, to start with. The Old Court Compound in north Delhi’s Kashmere Gate will mesmerise a heritage-loving trainspotter. 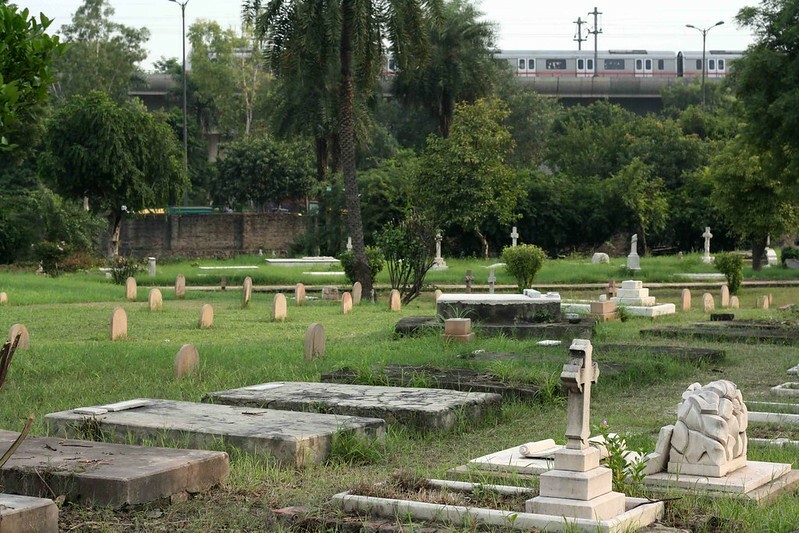 The Metro’s Red Line is laid out next to the surviving fragments of the Purani Dilli wall. When the Tis Hazari-bound train rushes past, it appears to be running over these Mughal-era fortifications. The nearby Nicholson Cemetery offers a sombre perspective of the same train. The colonial-era tombstones bear no relation to the fast-paced life of the commuters, but then these graves, of course, are the end of all journeys. A more forward-looking sight is seen at Lajpat Rai Marg — no room for the past here. 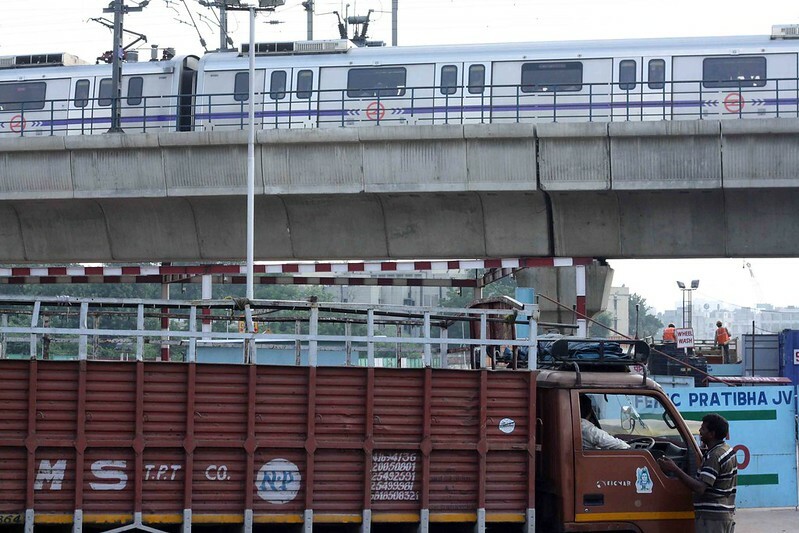 The train exits the Lajpat Nagar station and before sloping down into the tunnel that will take it to central Delhi, it smoothly runs alongside the sluggish road traffic. This fraction of a minute speaks of speed and efficiency, making our Delhi look confident, business-oriented, and well, world-class. A different feeling is invoked at the traffic signal in west Delhi, next to the City Square mall in Rajouri Garden. The pillars that support the Blue Line’s elevated tracks are arranged in a crooked line, very much in harmony with the uneven cluster of surrounding buildings, which have the sort of organic growth and architecture that quite a few perennially unhappy urban planners consider eyesores. Each pillar is marked with a number that locals use for directions (“Gola Sizzler Westend Restuarant, Opposite Metro Pillar 414, Rajouri Garden”.) One pillar shelters a man who looks less like a beggar and more like an independent loner having some mysterious relationship with the Delhi Metro. 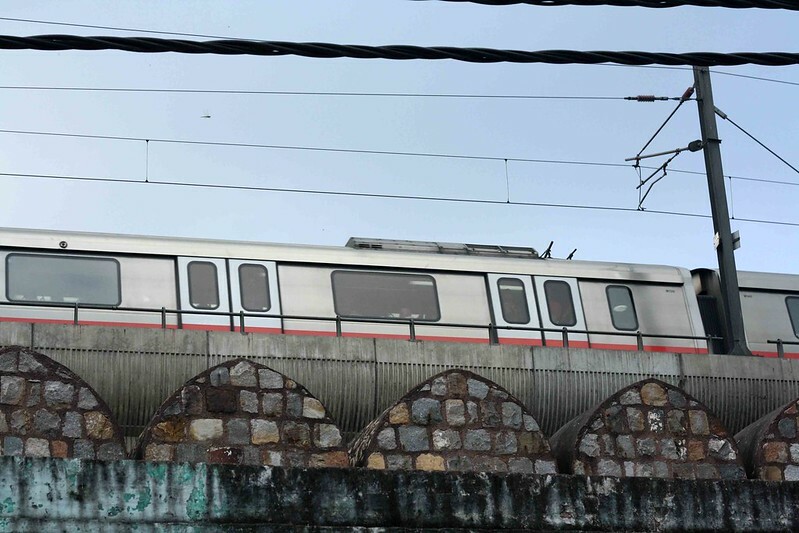 At night, head to Tilak Marg to see the Blue Line Metro train as it juts out from Pragati Maidan station against the backdrop of a rising moon. The sight is like a painting.